Chicago Pneumatic - Helps Father and Son Steam Ahead! 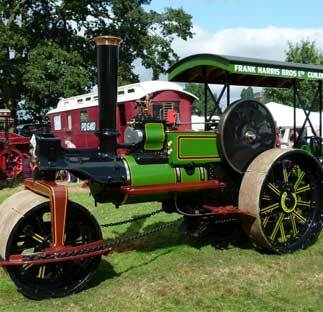 The Aveling & Porter ‘C’ Type Steam Roller was new to Frank Harris Brothers of Guildford. Built in 1923 this 8-ton beauty with Works No; 10677 Registration NO: PD 6410 was put into service. After some 30 plus years it was then in 1958 saved for preservation. Derek Petty of Berkhamsted purchased it many years later and continued to rally it until 1974. In 1975 it was then acquired by Dave Harrower, who had previously restored a 1908 William Foster Steam Engine that had belonged to his father who owned a petrol garage. The garage had struggled to sell petrol at the time until Dave’s father placed the Steam engine on the forecourt and sure enough customer pulled in to see it. Many years later when the garage closed Dave asked his father if he could have the engine and was told ‘if you can move it you can have it’ and to this day Dave still has the engine that is now a 2018 project for refurb. The Aveling & Porter was in a poor state due to heavy rust and corrosion to each tender side and boiler tank and many other parts. It was stripped down completely for restoration to begin. It was 1984 when restoration began, and this was carried out by Dave and his son Paul Harrower (who was raised on such projects from a young age) many years on the restoration ensued on the project. This was no mean feat as they literally built an entire workshop to house the project. This itself was not without its problems as in the roof of the workshop was blown away into a neighbouring field during the severe storm of 1987.Dave and Paul were not deterred, and they pushed on and scoured the country for various old lathes and milling machines suitable for the project. They had to make many of the BSW bolts themselves as these bolts simply are no longer available. They made bearings and bought a huge squeeze riveting machine to set the required hot rivets. Many engineering practices from the past were bought back into use as this was the only way to authentically complete such a restoration. Then in September 2015 the restored Aveling & Porter had its first steaming! Chicago Pneumatic became aware of this amazing father and son restoration project by a chance meeting with Paul Harrower and immediately wanted to help them in some way and donated several Ex Demo tools to for ongoing maintenance and indeed for the 2018 future restoration of the William Foster Steam Engine, and a 1957 Fordson Major tractor project. Paul has already started using the tools like the CP7125 Needle scaler to clean the firebox in preparation for the PD6410 going into winter hibernation under lock and key before 2018 Steam Rally’s begin. The CP9120CR Grinder proved useful on the early stages of work on a boiler plate whilst the CP9790 Drill was used to put two pilot holes in each side on the engine mounting plate for low loader and then the CP7748 ½” Impact Wrench proved ideal for bolts on the mounting plate. The CP7732 Ultra Compact ½” Impact Wrench has also been used to remove the chassis bolts on the Fordson Major. 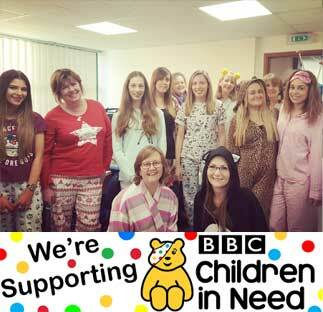 We are spending the day in PJ’s and enjoying a few treats along the way, including cakes, chocolate and snacks. The total amount raised was £88.50. 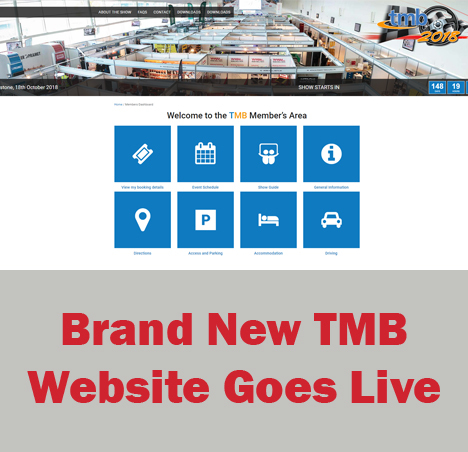 The brand new TMB site is now live! and see all the information you will need relating to the event, news, additional features and view your booking details. 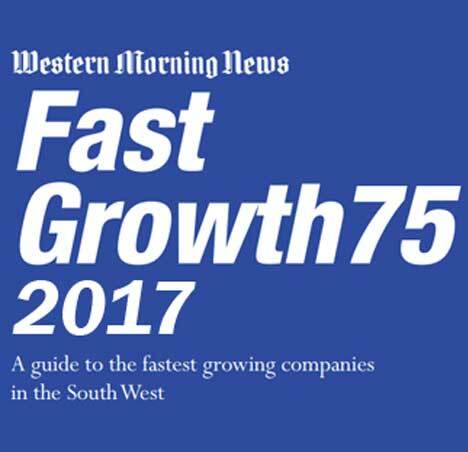 Recognising the South West’s top developing businesses, FG75 is an initiative that’s coordinated by The Western Morning News and provides a snapshot of the region’s economy. We are delighted to have moved up the Fast Growth 75 list, from 60th in 2017 to 47th in 2018, and being among both globally recognised and more locally known companies of such a high calibre is a real triumph – that said of course our aim is to further improve our position again this year. This is the fourth time Rothwells have entered the “Business of the year category 1-5M”– the 2ndtime they have been nominated – BUT the 1st time they have ever won !! 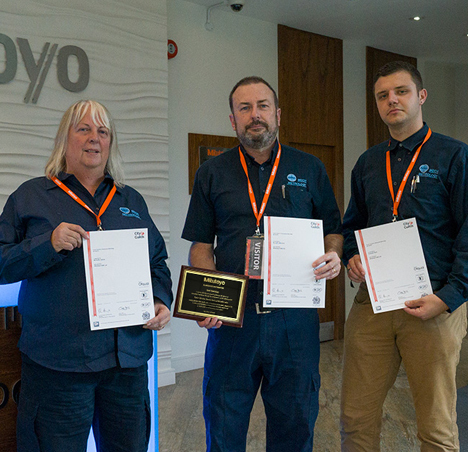 This year Rothwells also put forward an “employee of the year, Dale who actually started with them as an apprentice 2 years ago and has progressed year on year. Huge congratulations to Chris and his team! This year’s Cutting Days was the largest in the history of Dormer Pramet. Cutting Days is a trade fair organized by Dormer Pramet and takes place at the company’s indexable production unit in Šumperk, Czech Republic. Free to attend, this year’s event ran from 4 – 12 September for customers and students from local schools and technical universities. The number of people who attended Cutting Days 2017 exceeded 2,000 – with 714 international visitors, 770 from the Czech Republic and 520 students. This year’s event can be considered as being truly global with a total of 23 groups from abroad visiting Šumperk. Also, the number of visitors from the Czech Republic (770) was almost double compared to the last Cutting Days in 2014. 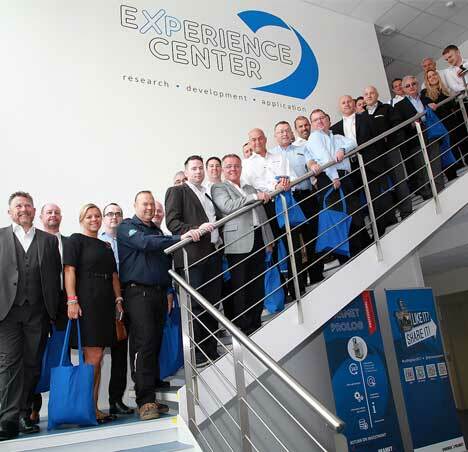 The agenda included an introduction of our brand new research, development and training facility – the Experience Center – and a product exhibition featuring more than 1,000 indexable and round tools. In addition, there was a presentation of 16 specially invited partners, production tours and a visit to the nearby Dlouhé Strán? hydro power plant, where there was a focus on presenting our success stories from various industry segments. Take a virtual tour of Cutting Days 2017 and view around the different areas. Click here to begin! Further through the partnership, Teng Tools will receive significant visibility through advertising on the in-game LED as well across the club’s digital and social platforms during the term of the partnership, in addition to significant global exposure from the club’s participation in the Premier League. With the new data protection regulation being enforced on Friday, we’ve also done our bit and have published a privacy notice to make it easier for you to find out how we use and protect your data within the Troy Group. Simultaneous to the rebranding efforts, the company is establishing a subsidiary as its European headquarters called Koki Holdings Europe GmbH in the suburbs of Dusseldorf, Germany to reflect the strategic importance of the European market. The subsidiary will commence operations in November 2017, and will serve to carry out the parent company’s activities in Europe, with the aim to be closer to our customers to facilitate faster decision making in managing their needs. 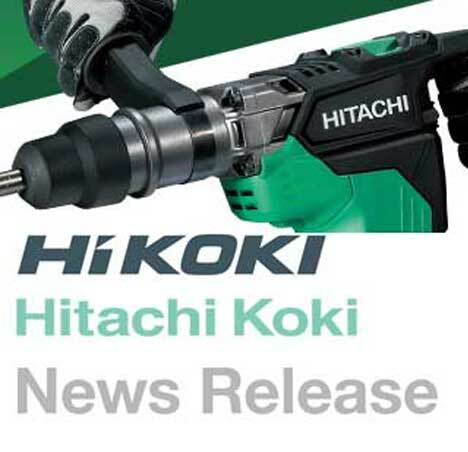 The HiKOKI brand was created to embody the three core competencies of the company, including its innovative technologies that give rise to products with superior performance, the reliability of its products and services backed by a 70-year company history, and the potential for new business growth represented through the new partnership with KKR. For ease of pronunciation, the new brand name uses a lowercase “i” in its first syllable, and includes the implicit numeral “1” to express our commitment to providing our customers with the “No. 1” products on the market, and our aim to achieve “No. 1” global status. The new corporate name, Koki Holdings Co., Ltd., is designed to maintain continuity with our current name, while also reflecting the multiple brands it encompasses around the world, and accelerate our investment in acquisitions to expand our global business. These are currently being sent out this week via Royal Mail and should be with you within the next few days. 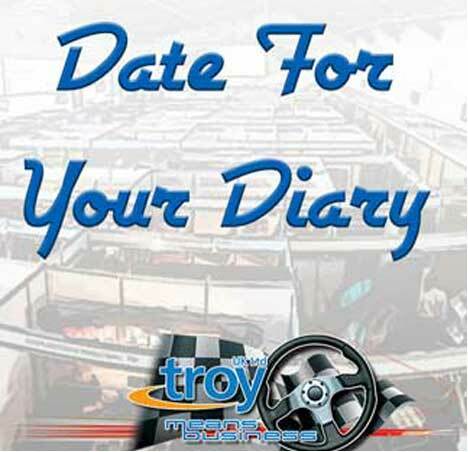 If you would like any more information then please contact the Troy Marketing Team. Metabo UK are very pleased to announce three new starters with the Company. 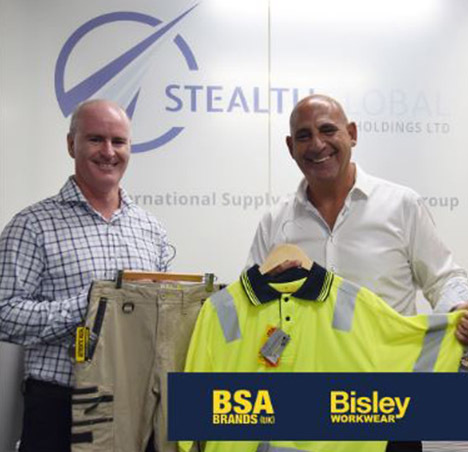 Paul Caddick has joined as Key Account Manager for the recognised Industry business, and brings with him a wealth of experience from his time within the Stanley Black And Decker Group. 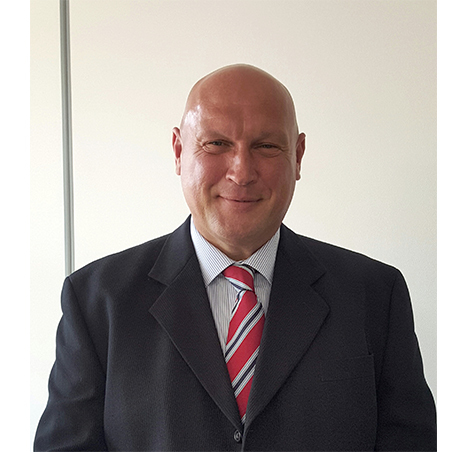 Nick Ward has joined as Area Sales Manager for the South West of England, and Wales. Nick is new to the Power Tool business, but brings with him senior experience in the brewery business. Kyle Slark has joined as Area Sales Manager for the North and Midlands. Kyle has joined from Trend Machinery and Cutting Tools, and was previously with the TTI Group. All three will make themselves known to the TROY members on their area in the coming weeks, and we wish them all the best in their future with Metabo. 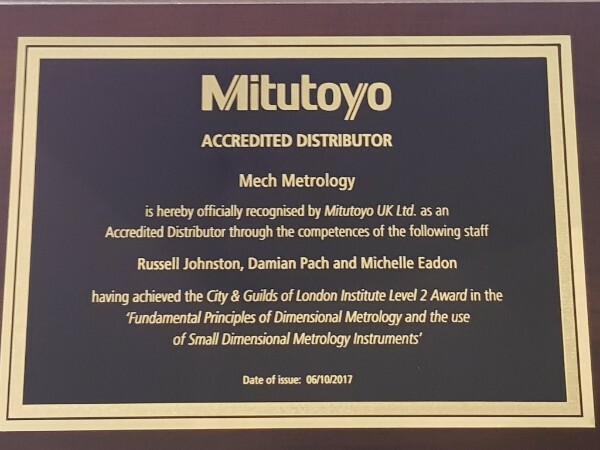 Mitutoyo are pleased to announce that Mech Metrology has become the first distributor in the UK to achieve Mitutoyo ‘Accredited Distributor’ status; after a period of training, examinations and qualifications in dimensional metrology. 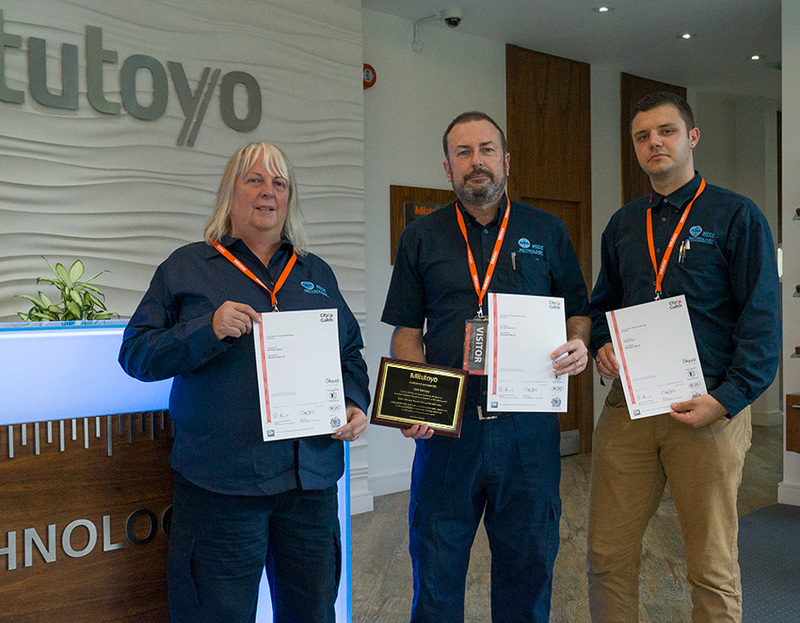 Martin Weeks, Operations Director of Mitutoyo UK Ltd., presented staff in management, sales and calibration departments with their City and Guilds, Level 2 certificates; demonstrating the companies high standards and committment to quality and service. “Mitutoyo made us feel welcome in their plush facility in Andover. The course material was well presented and the pace of presentation was just right. Emphasis was calibration and associated knowledge of measurement of length and angle. This would also have relevance for inspection activities. A number of practical exercises were undertaken using the instruments provided. There was also some theory and some debate about general industry calibration and measurement trends. Towards the end of the day, a practical and written test was undertaken. We were observed by the course presenter while performing the practical tests. 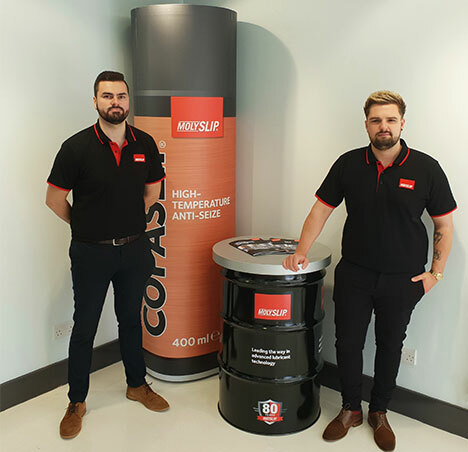 Leading lubricant specialist Molyslip has introduced a new apprenticeship programme recruiting two graduate trainees – Joe Bertera and Mike Green. Both employees are currently enrolled in a 12-month Graduate Trainee Programme which is endorsed by the Institute of Sales Management and managed by recruitment specialist – BMS Performance. Both Mike and Joe have joined the company’s sales team direct from university. Mike who studied at the University of Worcester will be managing Molyslip customers in the South and Midlands whilst Joe from Cardiff Metropolitan University will cover accounts within Wales and the North of England. Both recruits have enjoyed a thorough induction and training programme at Molyslip’s head office in Irlam, Manchester and are now working hard in their respective territories. Molyslip is an independent UK-based manufacturer of specialised lubricants and has been supplying products both nationally and internationally since the 1930’s. The company exports to over 60 countries worldwide and its products (market leading Copaslip, TAP, WRL and Arvina) are used across a range of Industry, with particular strengths in Metal-Working, Oil & Gas, Repair & Maintenance and Automotive as well Marine/Off-shore, Ship Building, and Food & Beverage (both production and packaging areas). www.molyslip.co.uk. Bott have always been known for quality heavy duty products, but what is it that makes their ranges built to last. 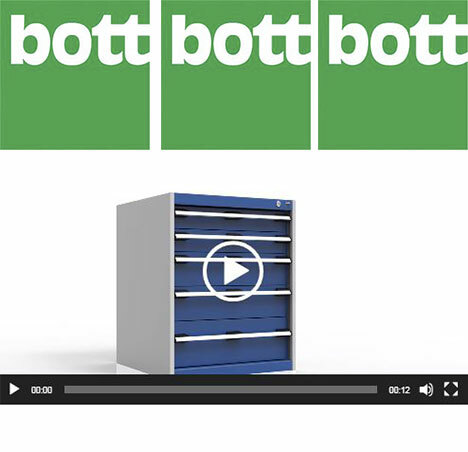 Every product has been designed to perform, so bott have prepared some animations to show benches, cabinets and cupboards down to the smallest detail. 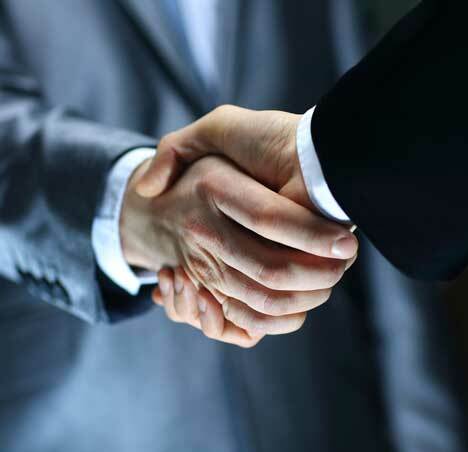 We are pleased to announce a new colleague joining the Business Development team here at Troy. Wayne Steele has joined the company this week and will be covering the South of England and South Wales. Wayne is well known to Troy and THS members having had previous roles with Pramac and SDMO. We would like to welcome Wayne and hope he settles in nicely to the his new role within the Troy team. Arconic, the organisation which owns the Recoil brand, has doubled the size of its’ Telford operations turning it into a 100,000 sq ft business. As well as Recoil, Arconic’s other brands include Huck, Marson, Camloc, SNEP and Simmonds. This expansion is due to rapid growth across Arconic’s brands and in a variety of markets, with turnover expanding by about 45 per cent over the last two years. 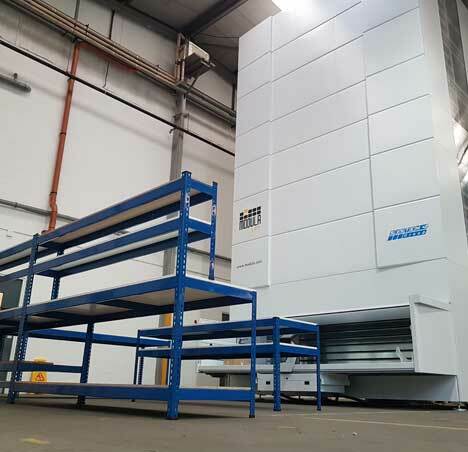 A new “Shuttle” has been installed in the new premises which will house the Recoil stock in Telford, making picking and preparing shipments a much more streamline process. The move into the second premises was partly an act of opportunism, said operations director Jonathan Craven, but it coincided with the company needing additional space to grow into. “It felt like too good an opportunity to miss and it feels like we will be vindicated in this because it has come alongside growth in the business”. Arconic employs about 130 people in Telford, and expects to be able to grow that number as it beds in its new building and continues the expansion of the business. “We are in a position where the market has taken well to the new products we have and not only do we want the investment in manufacturing equipment, we know that is going to require people,” Mr Craven added. We look forward to building a bright future with them all. 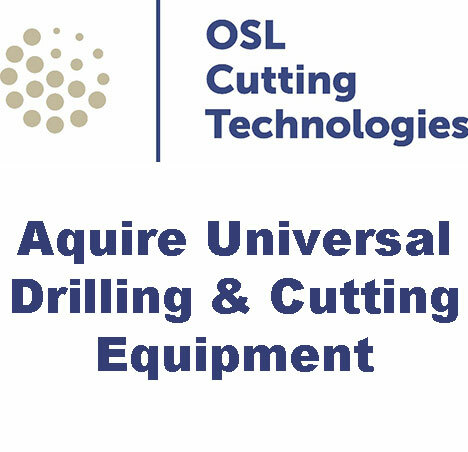 We’re pleased to tell you that OSL Cutting Technologies has successfully acquired Universal Drilling & Cutting Equipment. It’s a great fit, with two of Sheffield’s heritage manufacturing businesses. 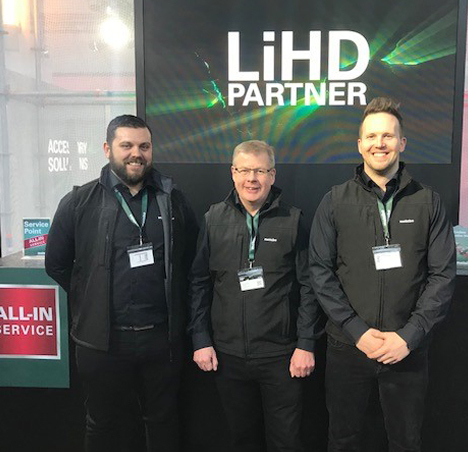 As we combine our strengths over the coming months and years, it will allow us to focus on enhancing our product range, quality, service and provide a better customer experience. 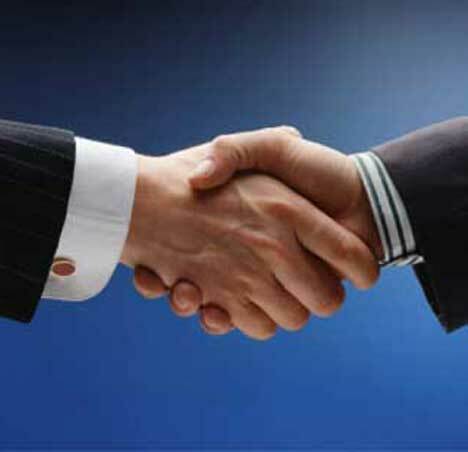 Rest reassured that business contacts remain unchanged and there are no changes to your trading terms. Throughout the company’s existence, SIP Industrial Products have tried and succeeded at engaging with the local and wider communities, consistently sponsoring various projects, events, and teams, and regularly supplying equipment to different causes at no cost. 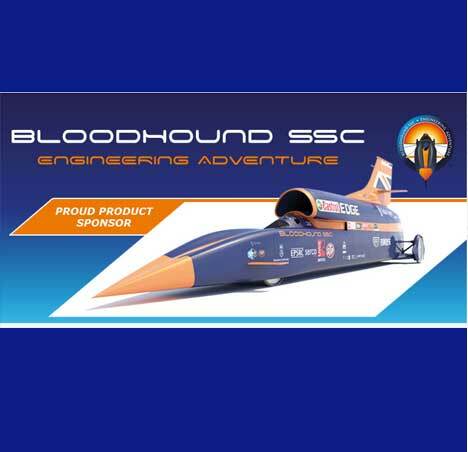 With that said, SIP Industrial Products are incredibly proud and excited to announce that they have recently backed another project, perhaps of a grander scale than any other before, agreeing a product sponsorship with the currently in-development Bloodhound SSC supersonic car and the loyal team that service it. For those that may be unaware of the Bloodhound SSC spectacle and the vision that it embodies, the Bloodhound SSC supersonic car takes over from a long line of predecessors that have attempted to break the land speed record. In fact, Thrust SSC, which set a speed of 763mph (1,228km/h), currently holds that record. Not content with breaking it, the Bloodhound intends to smash this speed, matching or exceeding 1,000mph (1,609km/h), leaving all previous records in it’s wake. To put the intentions of the Bloodhound team into perspective, the supersonic car will cover a mile in 3.6 seconds, whilst weighing 7.5 Tons. While a jet engine would provide considerable speed, a rocket engine has also been factored into the design, meaning that, when combined, the car will generate more than 135,000hp. In their words, it’s six times more powerful than all Formula 1 car present on a starting grid put together. With such a large project, SIP thought it would be suitable to send a range of their most premium, heavy-duty equipment, so that all concerned with the Bloodhound SSC project are covered. This includes a range of boosters/chargers, industrial- grade heaters, and much more. SIP wishes them all the best with the project, and look forward to seeing the results in the near future, beginning with testing and trial stages at Newquay in late 2017. Should you wish to visit, learn and see more Bloodhound SSC in action, visit sip-group.com to receive a £5 ticket discount, as an SIP customer, for SSC’s Public Day on 28th October 2017. Troy’s Regional Business Development Director- Philomena McDermott joined the sales team meeting at “ThomasGraham” and presented the value added support services of the Troy group. 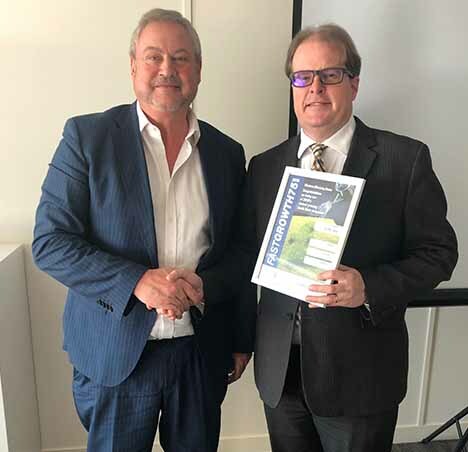 Garry Smith – sales director and Russell Smith – Contracts director both attended and confirmed they felt the meeting was” invaluable” . 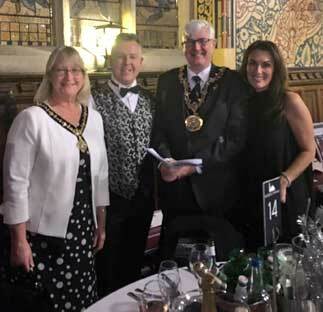 A delighted Ian, Roger and Amanda took to the stage at the Low Wood Bay Hotel in Windermere on Friday 8th March to be presented with the personalised award. 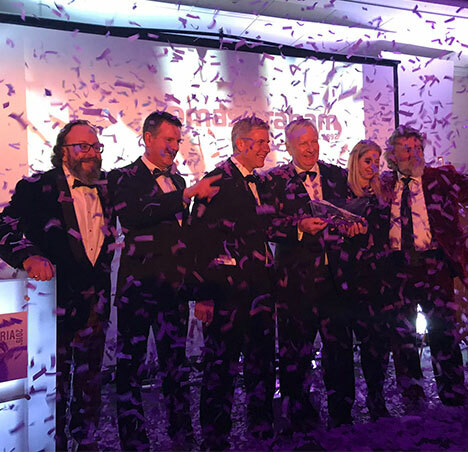 But the wins didn’t stop there – at the end of the evening, all winners of each category were invited to be put forward for the ‘Outstanding Cumbria Family Business of the Year’ – and to their delight Thomas Graham came out top. Winners of each category will go forward to the national ‘Family Business of the Year Awards’ in June, which will take place in London. We’ll keep all our fingers and toes crossed for them! 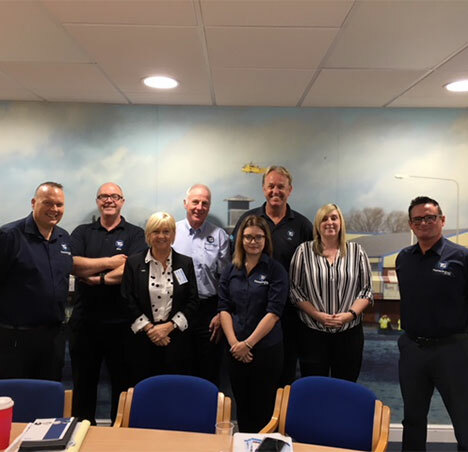 TIMco, one of the UK’s largest independent wholesale suppliers of screws, fixings and power tools accessories, has extended their customer facing teams by welcoming five new employees including a new position for an existing member of staff; The new appointments will help TIMco serve its growing customer base and increased product ranges. 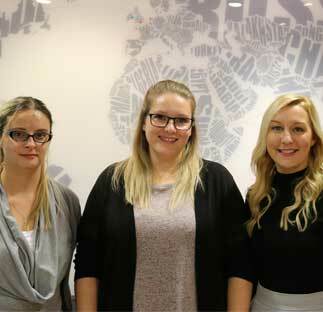 These new appointments include Alex Jones as Regional Support Manager, Rachel Edwards, Jade Seabridge & Vicky Sweeney as the Internal Sales Contacts as well as Vicky Bartlett and Amy Scott as the new Customer Services Advisors. In addition to better servicing of customers the new appointments provide opportunities for existing staff to grow, develop and progress as well as to increase the employment rate in the local area. Rachel, Jade & Vicky have been appointed to the internal sales team where they will become dedicated internal contacts for customers in their allocated region. Having a dedicated region to support customers to a single point of contact for all their needs in order to maintain consistency and continuity for sales queries. TIMco’s recent growth demonstrates their determination to continually provide the best possible experience for their customers no matter which touch point the customer has with TIMco. TIMco is head quartered in Nantwich, Cheshire, imports and supplies more than 6,000 product lines from around the world to distributors throughout the UK, Ireland and Europe. The company was established in 1970 and now employs 115 members of staff from it offices in the UK, Ireland and Taiwan. For more information, visit www.TIMco.co.uk. TMB 2018 - The Date Has Been Set! 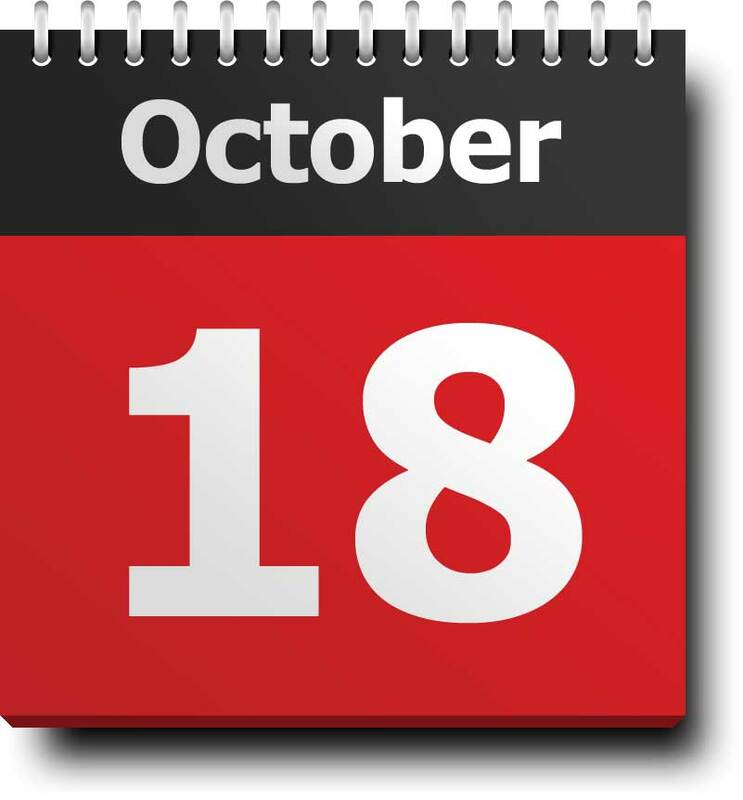 An important date for your diary……. Further details and booking forms will be released during 2018. 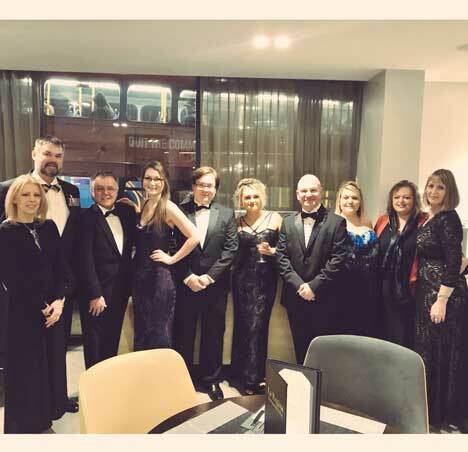 On Thursday the 25th of January, some of the staff from team Troy hopped into a mini bus, driven by Troy’s very own Wayne Hobbs, and headed up to London for the Employment Engagement Awards which was held at Wembley Stadium. After a successful journey, minus a few ‘breathe in moments’ to squeeze a very wide van through some very tight traffic bollards, they all made it. After a quick change into their finest attire and a few walking detours to find the right entrance to the stadium, they all arrived and were greeted with choices of fizz, wines and beers. After a few pictures with the FA cup and outside in Wembley stadium the team were ushered inside to find their table. The ceremony was attended by all sorts of well-established companies such as Marks & Spencer, The Royal Bank of Scotland, Nissan to name but a few. Even one of our Suppliers Arconic (also known as Recoil) were attendees. Unfortunately, Troy didn’t win the award for ‘Employee Engagement SMB Company of the Year’ but the team had a great night regardless and were proud to be representing their company at such a brilliant event. Special thanks to Wayne Hobbs for driving and the other members of Troy who helped organise. Lastly, from all the staff who had the opportunity to go to London, they would like to thank Troy for a fantastic evening. 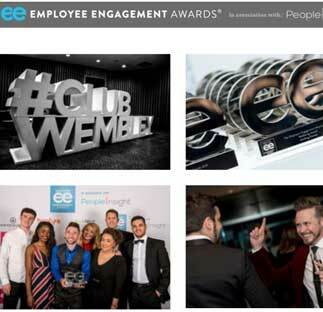 We are delighted that Troy has been announced as a finalist in the Employee Engagement Awards. Winners will be announced at a black tie Awards Gala Dinner at Wembley Stadium on January 25, 2018. The evening will include a Champagne Reception, three-course dinner with wine, the Awards presentation and live band entertainment. 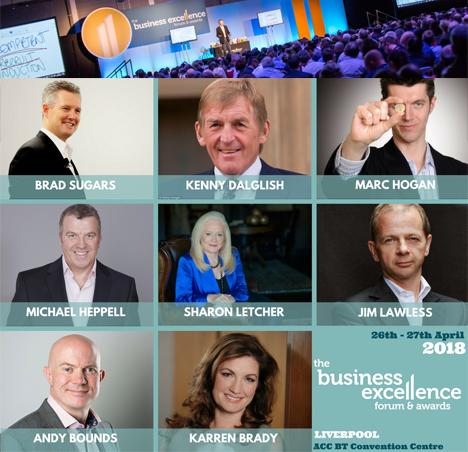 The Employee Engagement Awards, in association with People Insight, provide a platform to recognise excellence in engagement that inspires action and drives the industry and the employee experience forward. This is also a chance for businesses to come together as a community to network, learn and celebrate with each other. On the 7th Anniversary of Paul Kilbride buying the company, Troy has been recognised as one of the fastest growing businesses, in the South West, during 2017. The FG75 2017 is a definitive guide to the fastest-growing companies across Devon and Cornwall.The annual guide is a snapshot of the regional economy – it shows who is leading the way and the sectors that are reaping the rewards for all the investment they have put in to innovation, identifying new markets, people and infrastructure to build their businesses. The Western Morning News reported out of 75 Companies, Troy came in at number 60 and supplier to Troy, Bott Limited came in at number 40, so congratulations to them. After months of negotiation, on 1st April ‘18 Troy UK, based in Barnstaple Devon, celebrated the successful acquisition of Rotherham based buying group THS. 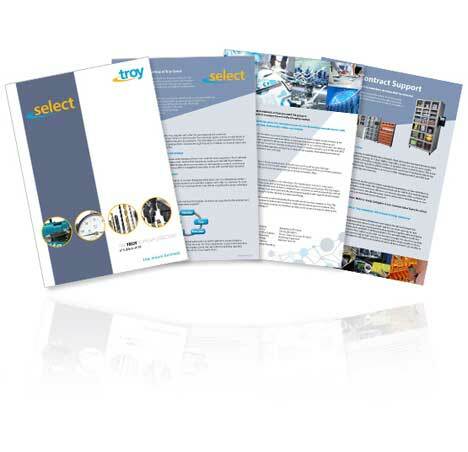 Troy is keen to preserve the well-known THS brand and maintain stability for its current membership base, so the staff team and its operations at the Head Office in Rotherham will remain in place for the foreseeable future. Rather than THS being simply consumed by Troy, changes to current practices at THS will be subject to careful consideration by the Troy board of Directors. 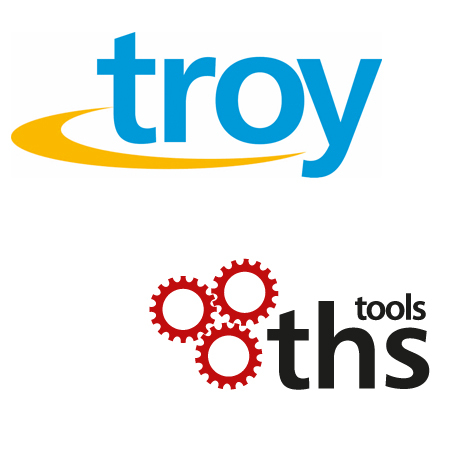 That said, THS Tools has become very much part of the family, now operating as a division of Troy UK limited. “Our philosophy has always been to invest strategically and responsibly. This exciting new chapter further reinforces our goal to attract the highest quality products and customer service at the best price for our valued membership, thus increasing our buying power to its optimum level. We are delighted to welcome THS to the Troy Group and look forward to prosper and grow for years to come.” Paul Kilbride, CEO Troy UK Ltd.
See the venue in full swing as we have a product launch happening, we can show you how The Orangery would be perfect for your product. 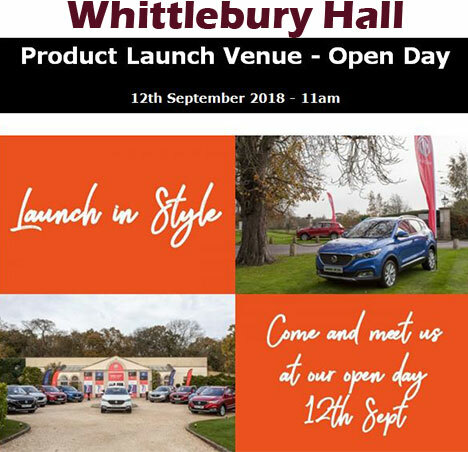 The open day will start at 11am where we will give you a tour of the venue and talk through the options we have for you and your business, afterwards we will finish with a delicious lunch back at the hotel.